Marty Martinson is the new voice of the Battlefords North Stars. Originally from Regina, Martinson is a graduate of Western Academy Broadcasting College in Saskatoon. Martinson was the play-by-play man for the OCN Blizzard of the MJHL last season, and he’s excited to continue his broadcasting career in the SJHL with the Battlefords North Stars. When asked about his style of play-by-play announcing, Martinson, a fan of NHL hockey, said he likes to draw comparisons between junior-aged players and their NHL counterparts, as a method of painting a picture and making the game exciting for every listener. 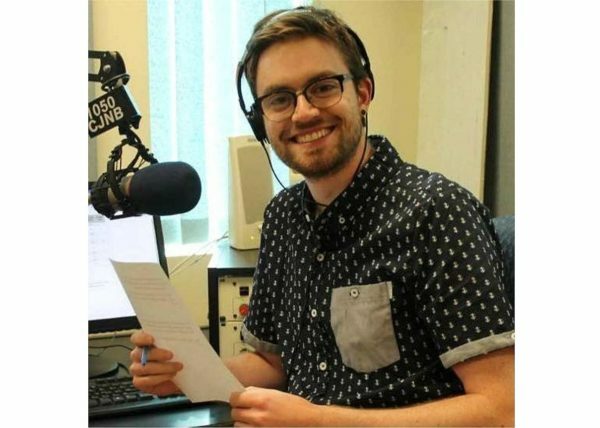 In addition to his play-by-play duties, Martinson is also looking forward to anchoring the afternoon news, where he hopes to become a recognizable voice to the people of the community and one they feel they can connect with. When it comes to sports and news reporting, Martinson said he sees an opportunity to get plugged into the heartbeat of the community. Stay tuned to battlefordsNOW to keep up-to-date with Marty’s latest articles. MARTY MARTINSON — He’s got the sport guy’s dream job. 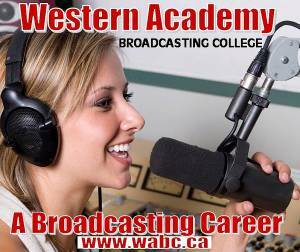 Western Academy Broadcasting College‘s Marty Martinson is sportscaster and play-by-play guy at 1050C CJNB. . .!